This is a special release of BenRiach which celebrates 10 years of distilling under the new ownership at the distillery. The whisky used in this bottling is drawn from some of the first spirit made under the master distillery Billy Walker. Just four ex-Bourbon barrels were used for this edition, which is very limited. Nose Ripe white pear, fruit salad syrup and rich clotted cream hold a crisp twist of candied peel and soft vanilla. Palate Crisp barley with peppery toasted oak and stem ginger flood over rich creme brulee, coconut butter and vanilla poached pear. Colour Gleaming rich harvest gold. Types of Barrel used for Aging Drawn from just four ex-Bourbon barrels. 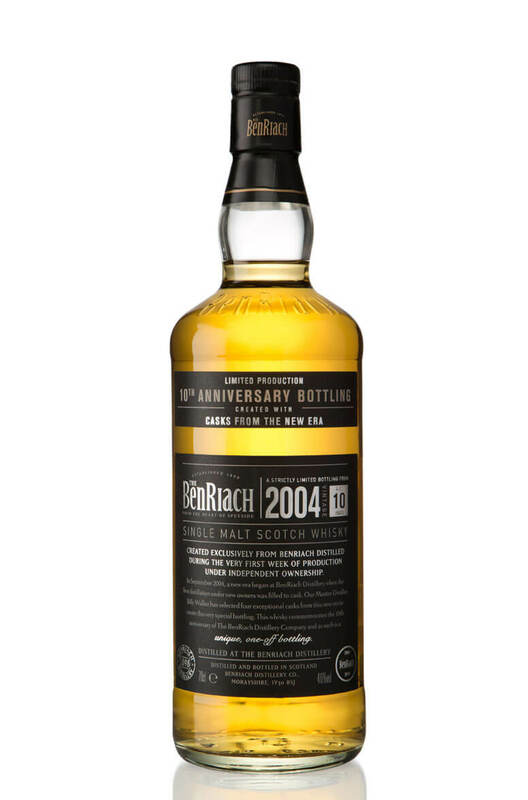 A limited release from Benriach that has been matured in American oak casks and then finished in Ped..